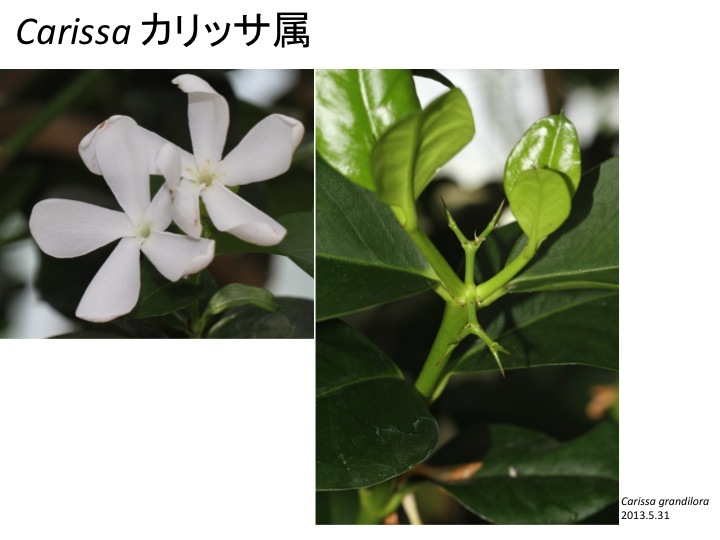 How are spines of Carissa formed? 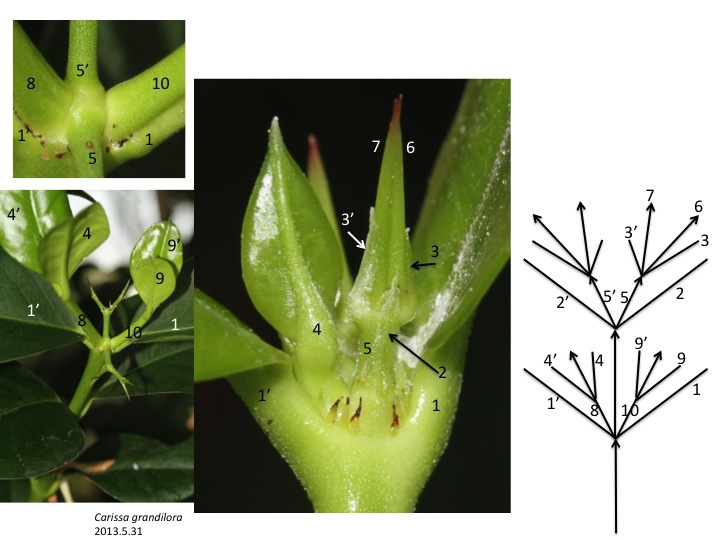 When we incorporate the developmental constraint of angiosperms: “new shoots are formed at the axils of leaves”, we can interpret that the spine is a shoot. In the above drawings, lines and arrows indicate leaves and shoots, respectively. A main shoot forms several pairs of opposite leaves and terminates. The last two leaves (2 and 2’) are much smaller than previous leaves (e.g. 1 and 1’) and subtend a shoot to be a spine (5 and 5’). 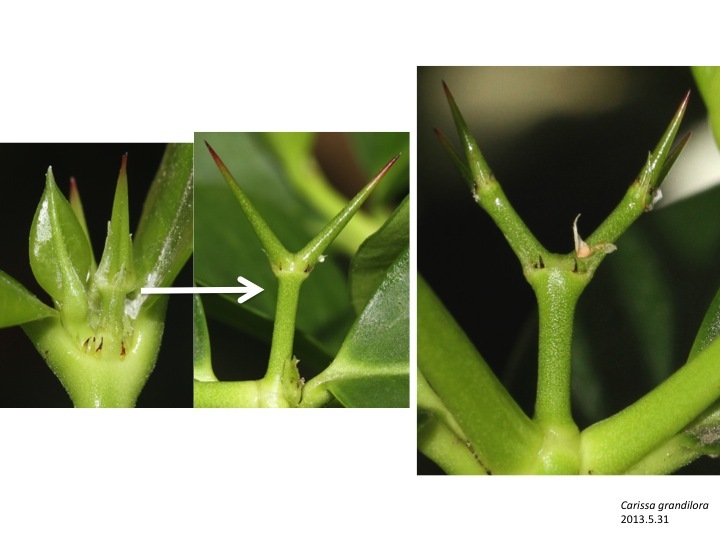 The spine shoot sometimes form leaves and the secondary spine shoots are formed at the axes of the leaves.